7 Kids and Us: Kiss Naturals DIY Products for Kids! We love craft kits here. Being a home school family, we can't get enough DIY. One thing I don't love, is when the craft kit has so many harmful products in them, that by the end of the craft, I just want to throw it away! Kiss Naturals is a natural DIY craft kit company. They offer so many kits, and every one of them uses natural products, no harmful dyes or chemicals. The Lip Balm Kit is one of their best sellers. 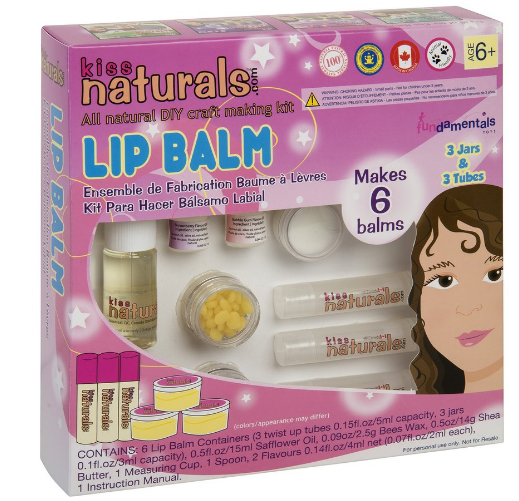 For just $19.99 your child can make SIX tubes of their own lip balm! 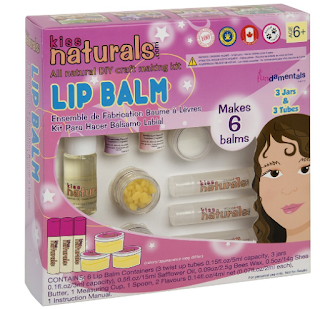 Keep your lips smooth and soft with this all natural lip balm kit. Learn about what goes into lip balms when you mix the beeswax, Shea butter and safflower oil to get the perfect formulation. Whether you choose to put it in a jar, or a twist-up tube, your all natural lip balm will seal in moisture to protect the thin skin of your lips whether it’s cold, hot, rain or shine! (Makes 6/ 3 jars, 3 twist up tubes). 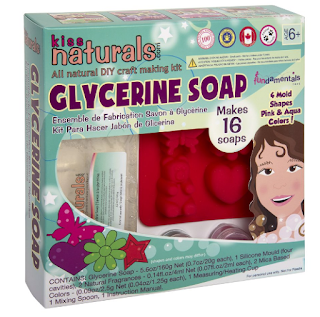 The Glycerine Soap Kit is also one of their biggest sellers, just $19.99 and you can make 16 of your own soaps! My kids love these kits, and I love that they get a lot of product for my money, and they are learning something at the same time! You can check out the whole line of Kiss Naturals products here.